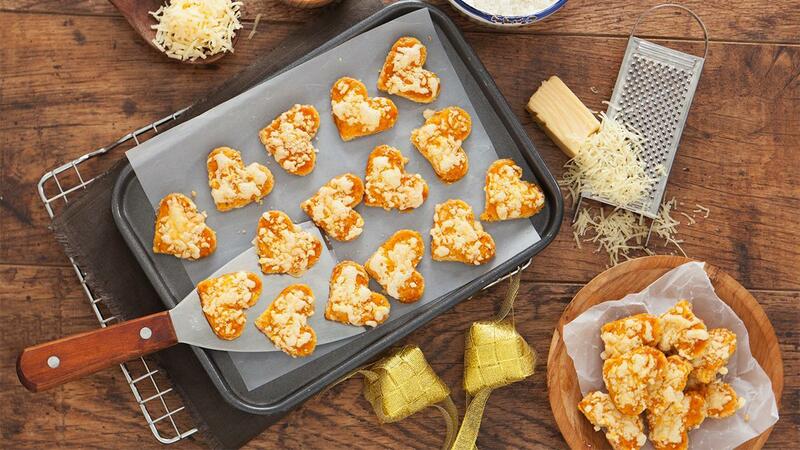 Pleasurable cookies for cheese lovers. Your snacking time will be more enjoyable. Whisk ingredients A and put on ingredients B. Mix them well and put on ingredients C. Ensure they are mixed well. Roll the dough about 4mm. Form the dough using any mould as you like. Smear with egg white and pinch some grated cheese to be put into the top. 40 minutes Bake the cookies at 130o C for about 25 minutes and then reduce the temperature to 110oC to be baked again for 15 minutes.